June Foray, one of the world’s most versatile voice actors, and the voice of Rocky the Flying Squirrel as well as the scheming Natasha, died last week at the age of 99. Some years ago, Craig and I went to hear June Foray give a talk, I think at M.I.T. She was smart and funny, and actually had a pretty bawdy sense of humor, which of course had to stay suppressed while she was working in kids’ programming. The world is a little less funny and creative with her gone. Here’s a lot more about her in the Boston Globe and the New York Times. My sister, Nancy Carver Adams, lost an astonishingly brief battle with lung cancer Monday night. Her death came as a terrible shock. She was not a smoker, and it was the flu and pneumonia that took her to the hospital, where the cancer was discovered. She had only just been diagnosed a couple of weeks ago—and had started immunotherapy a few days before. The prognosis was uncertain, but we thought we might have her for another year or two, anyway. An issue had developed of fluid buildup in one lung, but it was being managed, she thought. She was emailing and texting family members just a few hours earlier in the day. And then, in the evening she stopped breathing or her heart stopped, and they were unable to bring her around. She was gone, just like that. This came as a shock on several levels, beyond the obvious. Our brother Chuck was diagnosed with his own cancer last fall, and has been on a chemo regimen that has us guardedly hopeful. Nancy and I were most concerned about how to support Chuck and his wife Youngmee through a tough period. We had no inkling that Nancy also had cancer, and that we’d lose her in such a blindingly short time. Nancy was my half-sister, my father’s daughter from a first marriage. I didn’t grow up with her, but we started to know each other around the time that I was finishing high school, and over the years, we developed a real brother-sister relationship—partly because she was so determined to get to know her emotionally clueless younger brother. She and my mom became quite close, and I think that helped. Nancy had two lovely daughters, Karen and Lyn, both of whom have families of their own. She also left behind a much-loved husband, also named Chuck, an old high school friend with whom she reconnected after the death of her previous husband, and married just four and a half years ago. They had not long ago settled into an extended care community in Florida, where they could relax and enjoy their golden years. I’ll be attending the funeral in a few days with my own family, and look forward very much to reconnecting with hers. That part’s good. 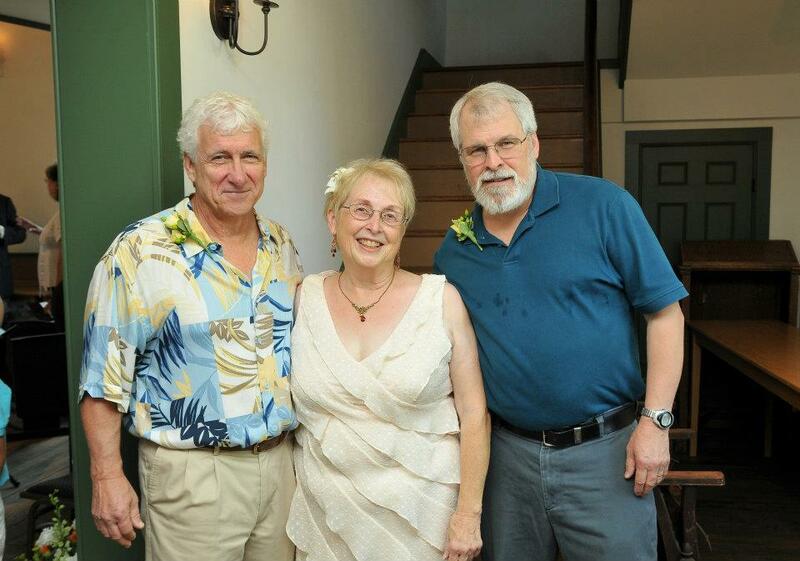 Here’s Nancy with my brother Chuck and me, at her wedding in 2012. The death of John Glenn on Dec. 8, 2016 marks the end of an era: the glory days of NASA’s manned spaceflight program. It also marks another of my heroes gone from the world. 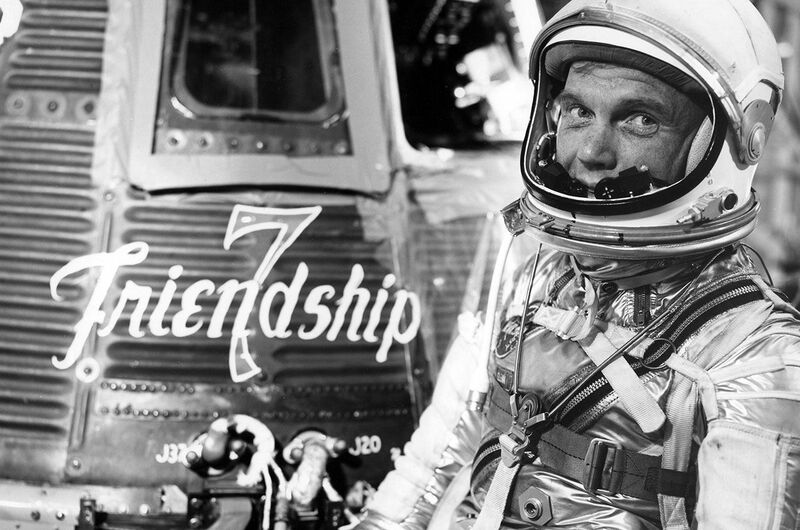 I was twelve when Mercury Astronaut John Glenn rode the fiery Atlas rocket into orbit. I was transfixed for the duration of the flight. We were doing it. We were finally traveling in space! Glenn was instantly my hero, and rightly so. And now he is gone, from this life, at least. Godspeed, John Glenn! His passing brings back echoes of other pioneers who have passed into history in the last few years: Neil Armstrong, whose words “Tranquility Base here. The Eagle has landed,” marked a defining moment in human history, the mere memory of which sends chills down my spine. Sally Ride, who broke the gender barrier for American space travelers, and went on to become a role model for young women everywhere. Leonard Nimoy, whose portrayal of the half-Vulcan Spock grew nearer and dearer with each passing year. Glenn, of course, went on to become a U.S. Senator from Ohio, and in 1998 became the oldest human (at 77) to fly in space. We should all be so productive. I never met Glenn or any of these other heroes. But in a way, their passing is deeply personal to me, because what they did with their lives so deeply touched my own life. And that’s a pretty good way to go, don’t you think? I’ve lost another friend, this time to cancer. Cindy McMahon Clancy was the much-loved wife of my friend Bob Clancy, a classmate from my college days at Brown University. 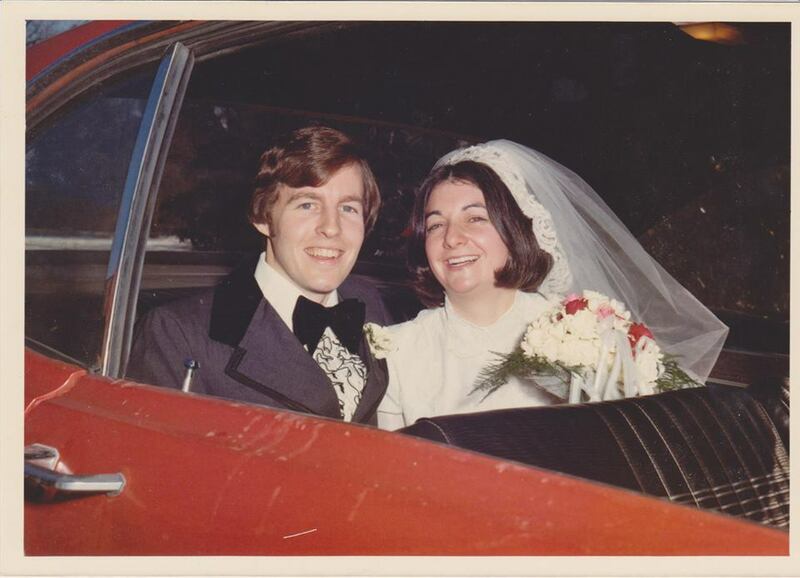 Bob met Cindy early in his working career, and when they were married, I was both the best man and the driver—in my red Ford Fairlane (shown with them in the back seat in this picture). Bob and I were, among other things, scuba diving buddies. In my brief stint as a scuba instructor, Cindy signed up to learn to dive, so that she could join us in our forays in the chilly New England waters. That lasted until they became parents, and diving faded into memory. Cindy and Bob were both avid skiers, and they tried on a couple of occasions to teach me to ski. I enjoyed the adventure, though I never took up the sport. I vividly remember driving with my family to see them at their ski house in Vermont (Cindy, having studied architecture, designed the house, and it’s a beauty). The driveway was steep and snowy, and I was hellbent for the top in our rear-wheel-drive Aerostar van. Out of the night, Cindy appeared in our headlight beams—come to tell us to park at the bottom. One look at us, and she turned and sprinted back up the hill ahead of us. Who are these lunatics we invited to visit? We fishtailed to the top, where Cindy welcomed us with gales of laughter and open arms. Those two things about her—her laughter, and her welcoming warmth—were two of her most prominent qualities, which were remembered by a number of other friends and family at the post-funeral lunch we were part of the other day. And they are what we will miss most about her. You can read some of the details of her life in this obituary. I haven’t seen Cindy and Bob much in recent years, but we did get to see them near the end, but while she was still able to enjoy the company. This last year was tough on both of them. I pray that the coming year will bring rest and healing to Bob, and to their lovely grown children, Steven and Christine. This week I learned of the passing of not just one, but three former teachers. That sort of takes my breath away, and not in a good way. None of these deaths was really recent, but even in the days of the internet, it can take time for word to travel. First, I heard from my brother Chuck, who read it in our high school alumni newsletter, that our old wrestling coach, Chris Ford, had passed away in January of this year. Coach Ford was, for me, the very model of what a good coach should be: encouraging, demanding, scrupulously sportsmanlike, respectful to his own team and opposing teams alike, and a builder of relationships in the wrestling community. I had the benefit of his coaching for just two years, before he left Huron (Ohio) High School to build a wrestling program from the ground up at Ashland College (now Ashland University). After creating at Ashland a nationally noteworthy wrestling program, he went on to do the same thing at Ohio State University, from which he retired in the mid-1980s. 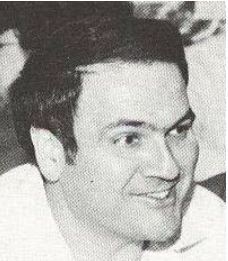 I still think of him as the youthful coach who led the high school team on which I wrestled. Further down in that same alumni newsletter, I read that Coach Ford’s son, Brian, had died several months later. That just seems too cruel. In the same damn newsletter, I learned that my high school Latin teacher, Marlene McKillip, had also passed away, at the age of 83. I did not have as close a relationship to her, but I do remember that she was stern, demanding, and fair. Veni, vidi, vici. It was Larry Zimmer, Mr. Z, more than any other teacher, who encouraged me to write.